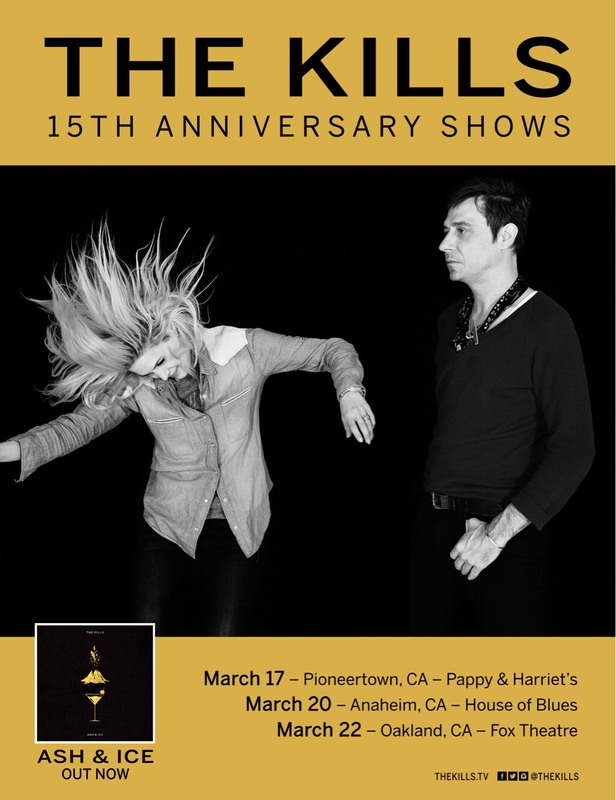 In celebration of The Kills 15th Anniversary, we are announcing a handful of new shows for 2017, which will mark a decade and a half of The Kills performing, and we’d like to see you all out on the road to share this with us. More dates will be announced over time, but for now, these are the locations for the initial celebrations! Pre-sale tickets available starting Wednesday at 10am PT (password: anniversary).